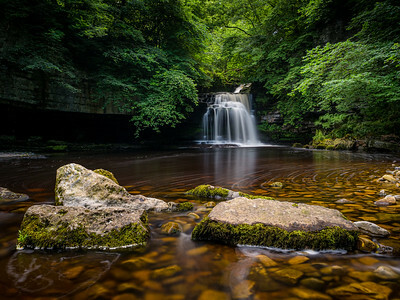 Yorkshire boast two national parks. 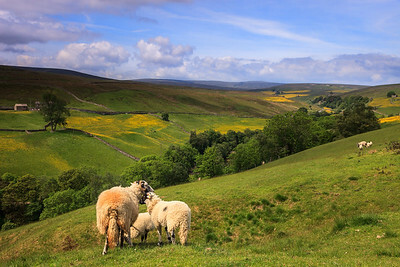 The Yorkshire Dales with it's limestone hills and the wild North Yorkshire Moors with the largest expanse of heather moorland in the UK. 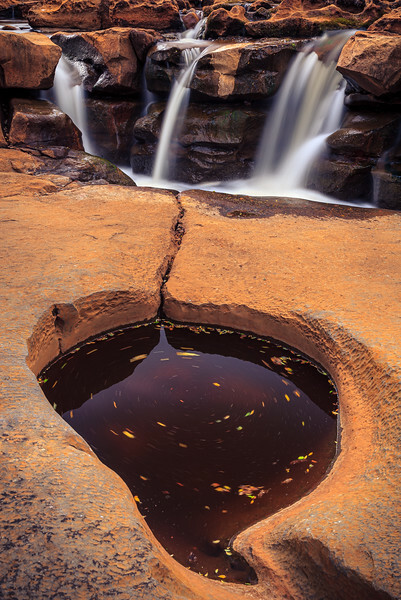 Rocks lay in the pool below West Burton Cauldron falls. Stormy skies over the Ribblehead viaduct with Inglebourgh in the background. 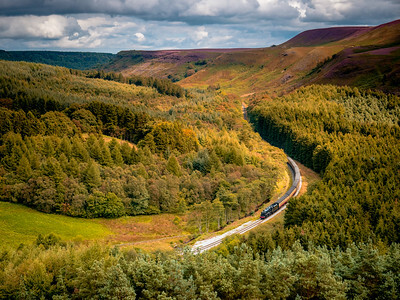 A steam train of the North Yorkshire Moors Railway traveling through Newton Dale. A curved birch tree in yello Autumn colours isolated by the fog. Light shing through clouds over the Vale of Mowbray. 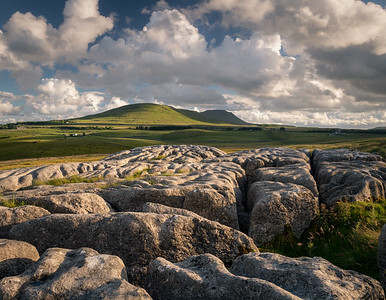 Looking accross the limestone pavement to Park Fell and Inglebourgh beyond on a summers evening. 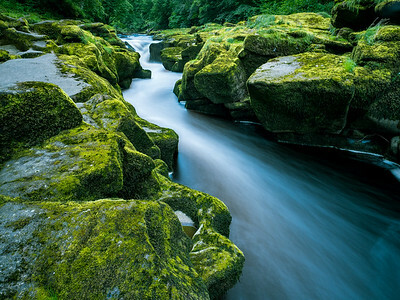 The river Wharf forced through a narrow rock channel known as The Strid. 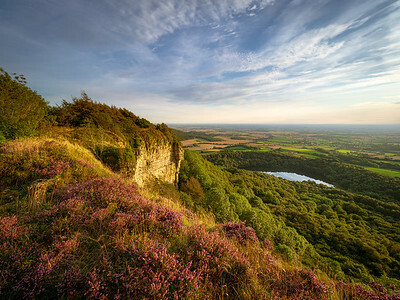 A stunning evening view of lake Gormire from Sutton bank. A lone tree amongst the heather on Hawnby moor. One of the last trees with yellow leaves left in a misty woodland. Water thundering over Hardraw Force waterfall after a heavy rain storm. 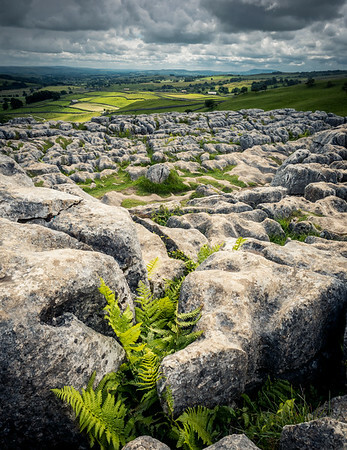 Ferns growing between the cracks in the limestone pavement on the top of Malham Cove. Sunrise across the heather moorland at Anna Cross in the North Yorkshire Moors. A view down into Rosedale to the village of Rosedale Abbey in Autumn. A group of birch trees in yellow Autumn colour amongst the bracken on a foggy morning. Early morning light in the Wensleydale valley on a summers morning. Stepping stones across the river Wharf in front of Bolton Abbey. 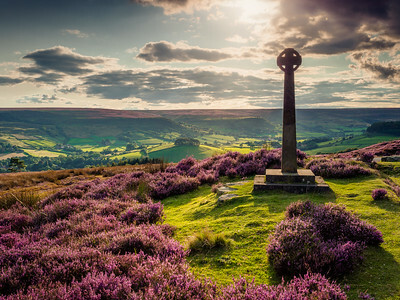 Summer evening at the Millenium Cross overlooking Rosedale. 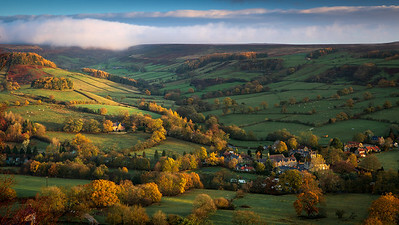 First light of a new day over Rosedale in Autumn. Sunlight shining through the clouds over lake Gormire from Sutton Bank.